The writing is clearly on the wall. Generally, no single issue can substantially alter the outcome of an election. But, Karnataka Chief Minister Siddaramaiah’s great gamble in splitting the Lingayat community could either make or break the Congress party’s fortunes in the Assembly elections, due in less than two months. The state Cabinet this week decided to recommend to the Centre that Lingayats be recognised as a religion separate from Hindus, and they be accorded minority status. This has sent tremors both in the Congress and BJP circles as such a move can have far-reaching implications on elections across the state. The Veerashaiva-Lingayats – who constitute the single-largest community accounting for 17% of the state’s population – have the potential to sway the results in as many as 130 out of 224 constituencies. That is slightly more than what is required for a clear majority. Lingayats were traditional supporters of the Congress – Six Karnata chief ministers from the Congress, including S Nijalingappa, BD Jatti, SR Kanti and Veerendra Patil, were Lingayats. But the community also played a major role in ousting the Grand Old Party from power. In 1980 Lingayats switched loyalties to Janata Parivar and solidly backed Ramakrishna Hegde (a Brahmin, whom the Lingayats trusted) and JH Patel (a Lingayat). When the Janata experiment crumbled, the Congress brought back Veerendra Patil as Karnataka Pradesh Congress Committee president. He won an unprecedented mandate, winning 181 seats in the 1989 Assmbly elections. After being in disarray for a decade-and-a-half the Lingayats regrouped and found a saviour in BS Yeddyurappa, who opened the gates to South India for the Bharatiya Janata Party in 2008. He may have lost power as chief minister after being embroiled in corruption charges, but to this day, he remains the undisputed leader of the Lingayat community. Siddaramaiah is all too conscious of the fact that the Congress could never have won the 2013 Assembly elections but for Yeddyurappa. Miffed at being asked to resign as CM, he quit the BJP and put up candidates under the Karnataka Janata Paksha (KJP) banner. As a result, the BJP was down to 40 seats from 110. The KJP managed only five seats, but Yeddyurappa drew nearly 10% of the votes, helping catapult the Congress to power. Siddaramaiah’s supporters love to compare him to D Devraj Urs, one of the best and shrewdest CMs Karnataka has had. Urs hailed from a miniscule minority Kshatriya community, but the social engineering he achieved under tremendous odds kept him in power for eight years. He would have continued longer had he not developed national ambitions and lost focus. In comparison, Siddaramaiah, though an able administrator, has shown castiest tendencies. He has foisted officials from his Kuruba community in many key positions, earning the wrath of major communities like Vokkaliga and Lingayat. The Vokkaligas constitute nearly 12% of the state's population and are predominantly settled in old Mysore areas. They look upon former Prime Minister HD Deve Gowda as their messiah – the only reason why the Janata Dal (Secular) still remains relevant and a force to reckon with. Positioning himself as a leader of ‘Ahinda’ (an acronym for backward classes, scheduled castes, tribes and muslims), Siddaramaiah has retained for Congress a vote base, but it is not sufficient to go past the winning post. Even within this ‘vote bank,’ the Madigas – a large scheduled caste – is unhappy at not being given adequate reservation in jobs and educational institutions as recommended by a judicial commission. Yeddyurappa returned to the BJP just before the 2014 Lok Sabha elections, and two years ago the party unequivocally him as its chief ministerial candidate. This would have led Siddaramaiah to calculate that unless he turned a chunk of Lingayat votes towards the Congress, the party could not be sure of victory. The BJP began to consolidate Lingayat votes by projecting 12th century reformer Basaveshwara or Basavanna – the community's spiritual and philosophical leader – at national and international levels. Prime Minister Narendra Modi unveiled Basaveshwara’s bust in London and followed it up by releasing volumes of Basavanna’s Vachanas (prose-poetry) in 23 different languages. After this Siddaramaiah suddenly ordered all state government offices to display Basavanna’s photos along with other leaders. This move drew accolades from all sides. For the Congress, it was the beginning of the appropriation of Basavanna's legacy. At one of the felicitation functions that followed, a section of Lingayats raised the demand for a separate status for the community, which has often been voiced over the last 75 years without much success. As Siddaramaiah and his think tank mulled over the issue, they saw a golden opportunity to create a wedge in the Lingayat community and strike at this strong vote base of the BJP. MB Patil, Basavaraj Rayareddy and Vinay Kulkarni, the Lingayat faces in the Cabinet, were deployed to draw favourably inclined heads of Lingayat mutts to organise huge rallies across the state to mobilise public support. The heads of powerful mutts such as Siddaganga and Suttur, who have huge followers because of their educational and philanthropic activities, quietly opposed the move to split the community but did not come out in the open. Thus, Siddaramaiah’s desire to obtain a ‘consensus’ before taking a decision failed. There was intense division within the Cabinet and a decision on splitting the Lingayats was twice postponed. A nervous Congress high command asked Siddaramaiah to exercise caution, but as the CM of the only large state Congress still controls, Siddaramaiah had his way. To assuage the feelings of those who were opposed to the move, the cabinet decided that apart from Lingayats even Veerashaivas who believed in Basavanna’s teachings, could be members of the new minority religion. The Karnataka government will soon put the ball in the Centre’s court as recognising any group as a religious minority requires a long legal process, including approval by Parliament. “If a group of Lingayats want to declare themselves as a separate faith, they can do so and the state will have no role in it. People have the right to follow any faith they believe in,” Senior Supreme Court advocate Mohan Katharki said. “But, if the Lingayats want to be recognised as a religious minority, the power lies with the Centre under Sec 2 (f) of the National Commission for Minority Educational Act of 2004,” he pointed out. The Karnataka Veerashaiva Mahasabha, which had initially welcomed the government’s decision, did a U-turn after consulting some heads of religious mutts. It said it could never accept the decision to be part of a separate religion. Basavanna, the 12th century reformer, revolted against Brahminism and tried to introduce a classless, casteless homogeneity among people. He firmly believed in humanity as one religion, but ironically, over a period of time, his followers began to identify themselves as Veerashaivas or Lingayats within the Hindu fold. The proponents of ‘Lingayatism’ as a separate religion are holding out the carrot of special privileges once they are recognised as a ‘minority,’ along with five other minority groups, including Muslims, Christians and Jains. But it is well recognised that Lingayats have been an integral part of the Hindu society, worshipping Hindu gods, visiting temples and following Hindu practices. In fact, in 2013, the UPA government rejected a request made by the Veerashiva Mahasabha for a separate religion status. The Registrar General of India, who had been consulted, noted that “Veerashaiva-Lingayat is a sect of the Hindu and not an independent religion”. If Siddaramaiah has been embarrassed at the disclosure that the Congress-led UPA had itself turned down the demand for a separate religion for Lingayats, he has not been showing it. He is hoping that the “perception” that his government did its best for Lingayats will bring his party the electoral dividends. The state BJP, which has been treading cautiously on the issue so far, may try to turn the tables on Siddaramaiah by accusing him of dividing the Hindus. There is already a lot of anger and confusion among the Lingayats and they are worried that even families are being torn asunder. “I have been happily married for over 30 years and after this controversy broke, we are suddenly made to realise that my wife is a Veerashaiva and I’m a Lingayat. 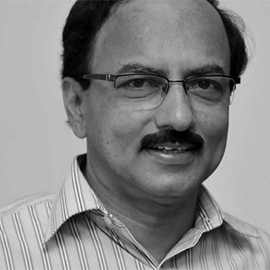 Why are we made to go through this agony?” a Lingayat professor wrote. “Over 90% of Veerashaivas and Lingayats are confused. The politics of the country has bombed a peace-loving community,” another social worker claimed. The BJP is bound to exploit such sentiments. 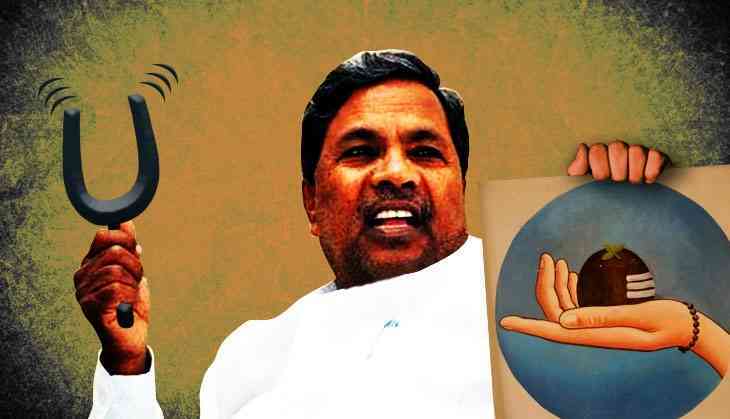 Ultimately, the political churning in the Lingayat community over the next six-seven weeks will decide whether Siddaramaiah-led Congress will harvest a bumper crop of votes or a boomerang.